It contains lactones, which can cause contact dermatitis. Native to Europe and Asia, burdock now grows worldwide and is cultivated in Europe and China. The plant is a biennial with stems that grow to five feet, producing red-purple flower heads, and hooked bracts commonly known as burrs. The carrotlike burdock root grows in the hedges and ditches of Europe and in parts of Asia and North America. It is also cultivated in Japan as a vegetable called gobo. All parts of the plant can be eaten when it is young, afterwhich it grows bitter. The leaves should be harvested for medicine before or during early flowering. The root is harvested in the fall, and the seeds are taken when ripe in late summer. It is famous for its hooked burrs that easily stick to clothing, pet fur, and anything that brushes against it. In fact, the Latin name, lappa, means “to seize.” Culpeper stated in the 17th century that the herb was a traditional remedy for gout, fevers, and kidney stones. Burdock was popular with Shakespeare, as he mentioned it in several of his plays. Native Americans used the whole plant as food and even made candy from it by boiling the stem in maple syrup and then storing it for the winter. As a medicine, burdock was used by the Delaware and Cherokee to treat rheumatism. The Cherokee and Iroquois used it to purify the blood and aid circulation. The herb is thought to have some antibacterial and cancer-fighting components. When consumed as a food, burdock supplies a fair amount of several vitamins (especially A and thiamin), as well as minerals, especially iron, chromium, cobalt, magnesium, phosphorus, silicon, zinc, and potassium. The greens are so filled with nutrients that the water in which they are cooked turns black; and, despite the nasty colour and taste, people have long eagerly drunk the liquid as a spring tonic to make themselves feel better after a long winter. Ironically, burdock is declared safe to use as a food, but not a medicine. The mucilage has a soothing effect when applied to skin inflammations. The tannins, resins, and bitter compounds stimulate appetite, aids in digestion, and treats mild intestinal upsets. It is a good source of inulin, which is said to help regulate blood sugar. Inulin should not be confused with insulin, an essential hormone needed to metabolize sugar and other carbohydrates. Human studies have shown that burdock root can stimulate the liver to produce bile, and that inulin does help control blood sugar levels. The root also contains chemicals called polyacetylenes, which have antibacterial and antifungal properties. However, these substances dissipate when the root is dried -– the form that is most often used medicinally. The leaves are generally less effective than the root, but both can be used in similar ways. 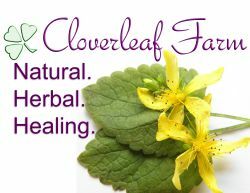 The leaves are especially good for stomach problems, including indigestion, and stimulates the appetite. Burdock seems to be an herb that when taken a little at a time, in increasing amounts, cleanses the body of toxins through its mildly laxative and diuretic effects. The root is used as a vegetable in Japan, but it is also considered to be the most important part of the herb by Western herbalists used as a cleansing, eliminative remedy where a buildup of toxins causes skin problems, digestive sluggishness, or arthritic pains. It is also used externally for skin sores and infections. In China, the seeds are used to treat symptoms pleurisy and that of the common cold characterized by sore throat and non-productive cough. Other parts are used to treat impotence and infertility. In Russia and India, the herb is a popular cancer treatment. In North America, it is used as a diuretic and mild laxative, and general blood purifier. It is also used to treat indigestion, loss of appetite, skin conditions, and reducing symptoms of gout, arthritis, and rheumatism. It is the seeds that are used for skin diseases and as a diuretic. Used by both Western and Chinese healers as a detoxifying herb, especially when combined with such other herbs as dandelion to balance its strong cleansing action. Related species (A. minus, A. tomentosum) are used in a similar way as burdock.